Similar to Foreman, but defaults to running all processes in the background and can process restarts in multiple ways. It’s early days, but Midori aims to provide high performance. A simple benchmark shows it outperforming Sinatra and even Express.js on Node. See example app code. Updates on the Ruby3x3 project, future approaches to concurrency in Ruby, and a look at ‘duck inference’. 34 minutes. Are you swamped with work but your Rails stack is outdated? UpgradeRails is a service from the founders of Hint.io and Honeybadger.io. 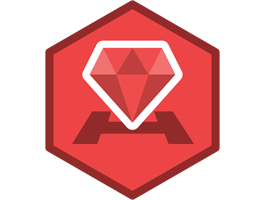 Let our expert team upgrade your Rails apps so that you can focus on features, not maintenance. Ilya Bodrov-Krukowski offers a clean example of good metaprogramming in Ruby. If you find yourself reaching to do a module-method extraction, stop. Consider what road you’re starting down and these lessons Richard shares. A multi-part (part 0, part 1, part 2) series comparing Swift to Ruby. You might be surprised at how similar the two languages are. A look at writing tests that use data returned from external HTTP APIs, as well as testing those interactions both in success and failure situations. A fun 5 minute demonstration of FizzBuzz implemented via Ruby’s little used ‘flip flop’ operator. Reverb’s story of moving to Webpack on the frontend, including how to handle server-side rendering of React components. A demonstration of using built-in tools on OS X to debug a running program. If you’re a JRuby user and you’ve pined for pry-like debugging, this is your lucky day. Coordinate smaller service objects with a command layer. A new gem using the ActiveSupport Instrumentation API to track and report on SQL queries in ActiveRecord. A cool trick if you need it. If you ever wanted to have a gem’s functionality available to a Java project, here’s how. If you use third-party services for critical business actions, here’s an approach to improving uptime. Some advice on handling exceptions from a company who makes their living doing it. Qualified reveals candidate abilities with unit-test driven assessments and pair-programming. Test for Rails, Node, and more. Some great talks from folks like Sarah Mei, Sam Phippen and Andy Pike. In this eBook you will learn how to set up Continuous Deployment to Kubernetes for your Docker Apps.